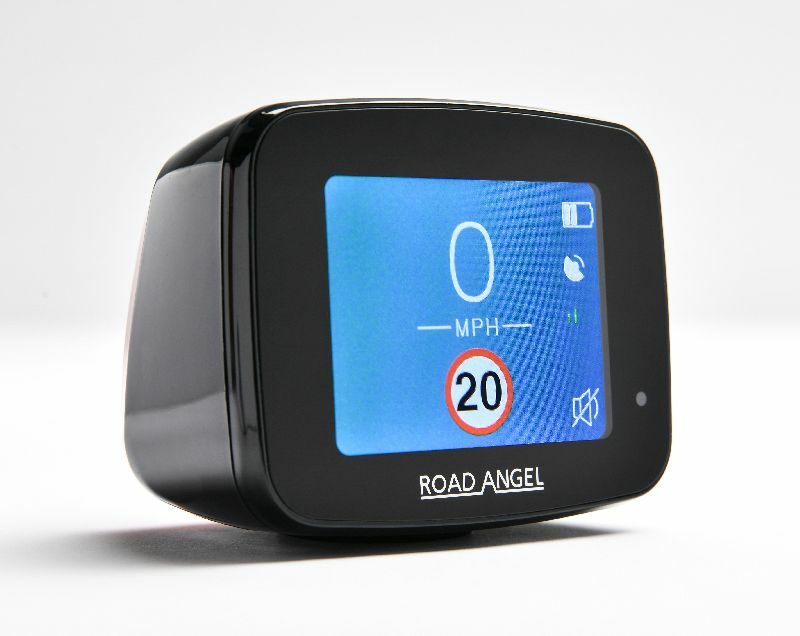 The new Road Angel Pure Speed Camera Detector comes with stunning design and next-generation performance, signalling the biggest leap forward for Road Angel in over a decade. The all-new design pushes the 2.4in sunlight readable TFT display to the edges of Road Angel Pure performance and integrates a 320 x 240-pixel resolution to securely unlock the safety and increased functionality of Pure with ease. The touch-sensitive buttons of this speed camera detector have been designed for ease-of-use and make it a fit and forget addition to any cockpit. Simply get in, drive and pay attention to the colour-coded signals the screen emits to stay well within the legal limits at all times. An internal battery also allows for standalone operation for a period of time, allowing for informed decisions even when not hooked up to a constant power source. Powered via a 12v cigarette lighter connection and easily stow-able thanks to its compact size, the Road Angel Pure is here to make life so much simpler for all road-users. The Pure operates via a subscription-based service and has access to the constantly evolving Highways England database for existing cameras across the entire UK road network, including mobile sites. This live data is updated within seconds of it ‘going live’ via the DFT and is updated constantly, so any driver is kept ahead of the curve, even when travelling on the latest Smart Motorways, where constantly changing speed limits are now commonplace. Safety is the number one priority for all Road Angel users, so to that end, it requires no hands-on contact while on the move, unlike many of the totally illegal, points gaining phone-based apps that are now commonplace. Thanks to this live camera data, personalised over-speed alerts, mobile camera alerts and in-built laser gun detection, safety and back up is always on hand for any momentary lapse of concentration. School zones, accident blackspots and camera sharing are also available, and thanks to built-in Wi-FI or Smartphone connectivity, databases can be updated as often as you can connect the device to the internet so there are zero risks of being caught out. One of the most revolutionary features is the real-time average speed alert and thanks to the ability to switch between Car, LGV, HGV and Bus options the Pure is also suitable for a wide range of automotive applications, guaranteeing road safety for all, no matter the vehicle. A high-quality, compact, well-designed solution that won’t cause any distractions from the road ahead. It’s an excellent all-in-one solution for the speed-aware. As the perfect way of ensuring your licence, your livelihood and potentially your life… why risk driving without one? 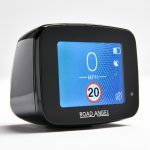 The Road Angel Pure costs £249 plus yearly subscription with more information from www.roadangelgroup.com ENDS. Print article This entry was posted by admin on February 8, 2019 at 12:09 am, and is filed under News. Follow any responses to this post through RSS 2.0. Both comments and pings are currently closed.